Imagine having the elephant sized balls to decide to make a sequel to Alfred Hitchcock's most influential film and objectively one of the greatest films ever made, Psycho. 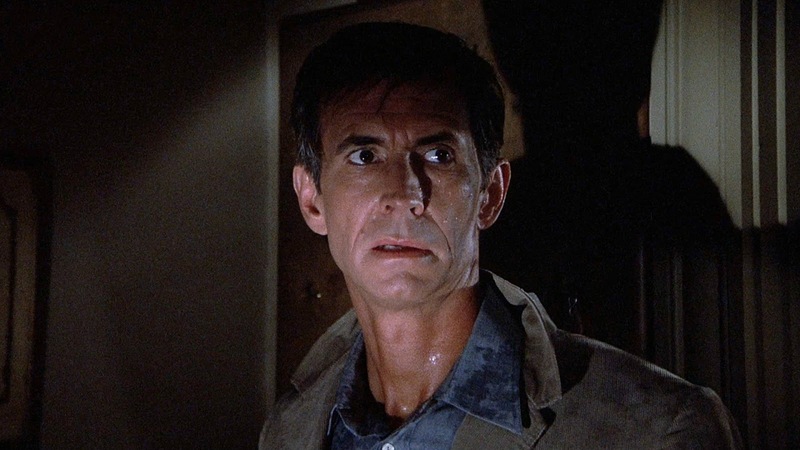 Director Richard Franklin (protégé of Hitchcock), screenwriter Tom Holland (Fright Night, not Spider-Man), and Anthony Perkins have those balls. And the shocking thing about this besides its existence...is that it worked for me. 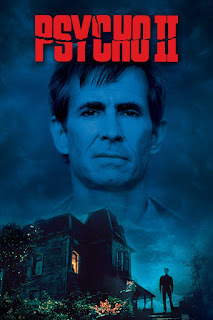 Maybe, I have a soft spot for controversial sequels (Halloween 3, The Last Jedi, Batman Returns) but I thought Psycho II is a worthy follow up that deserves more respect. Taking one of the most iconic "villains" in cinema history and making him into someone we root for is a choice for sure. It asks the kind of questions that horror movies don't usually ask: Can you truly come back from your darkest moment? Will Norman ever truly be free of the pain and abuse his mother inflicted on him? Is he doomed forever to live within the cycle of violence and mental illness? Will the town’s response to Norman lead him to recidivism? This whole film is focused on how difficult it is to break out of the cycles of abuse and mental illness. I was surprised by how empathetic and understanding the treatment of his mental health was...especially in an eighties horror movie sequel. Everything that happened makes sense to me and propelled my understanding of who Norman is as a character. It just wasn't a retread of the original but an expansion upon the world and characters that the original provided us. Anthony Perkins gives us a different shade of Norman Bates in this movie. He is not the unnerving and disturbed young man he was in Psycho. Here, he gives us a more sympathetic and pained performance, wearing the weathered face of a man who has spent the last twenty-two years trying to heal. He knows the damage he has done and is trying to desperately move past that. The passage of time between him and Vera Miles just makes the film feel more real. How do you lead a regular life after what happened in the original film? Can we break the cycle? This is the central narrative thread of the film as we watch the physical and emotional push and pull of Perkins trying to keep himself together and not fall back to who he once was while a series of grisly murders happen around him. It's a horror movie about a man who is desperately fighting off the urges and desires of making another horror movie. Now, it's not a perfect film. Some of the performances and effects in this are cheesy as hell. The kills in this are evocative of the Friday the 13th movies because those were what were in at the time. But it's a slasher movie made during the slasher movie boom of the eighties, so this is to be expected. You just got to accept it and look at the movie for what it is trying to say about how we treat the mentally ill and recidivism.